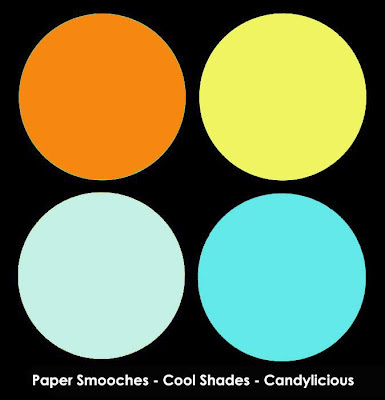 I wasn't sure about the colours for the latest Paper Smooches Sparks Challenge at first but they grew on me. I decided to use the Spiffy Scooters set, I haven't used it a lot so it was good to get it out and ink it up again. I paper pieced the scooter and added some glossy accents to the light. I then placed it on an embossed cloud background. I cut out an oval with my Nestabilities and then cut out a frame for the bike using two different sized ovals. I also going to put this in the Simon Says Stamp 'Fathers Day/Special Male' Challenge & the Cas-ual Fridays Challenge #54. I love your fabulous paper piecing, Tracy! And that embossed clouds background adds the perfect touch! So glad you are playing with us this week at CAS-ual Fridays! Such a lovely card Tracy, your paper piecing is really great and I love the colors you used. This is so cute! I just adore that scooter image! 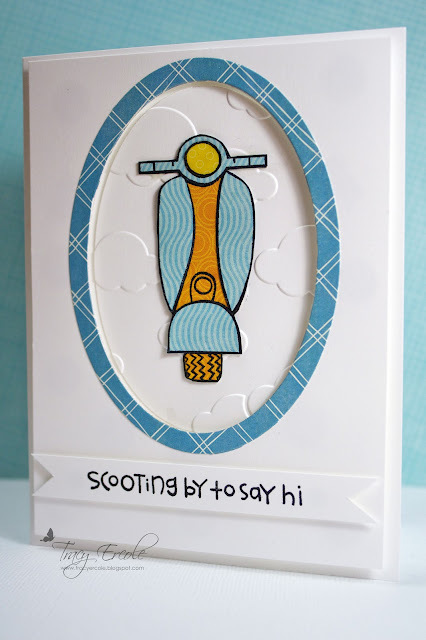 What a cute card...love the pops of color against the white...the scooter and sentiment are wonderful:)!! Thanks for sharing your creativity with us at CAS-ual Fridays this week:)!! Darling design, Tracey!Thanks so much for playing with us at CAS-ual Fridays! This is over the moon too cute for words, Tracey! I love the tone on tone clouds and that sweet scooter is brilliant! Thanks so much for playing with us at CAS-ual Fridays - we're so glad you did! !